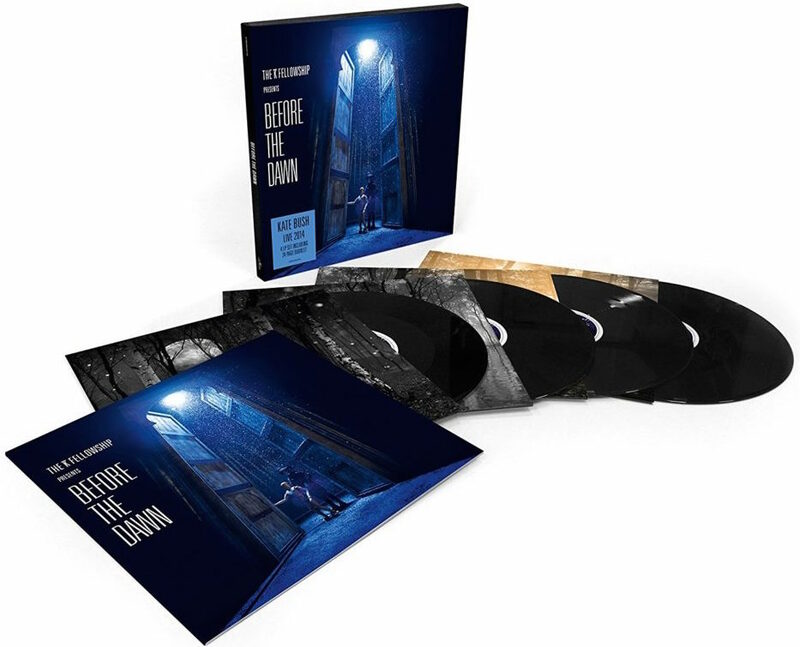 Kate released a live album set of her Before the Dawn shows on November 25th 2016 on her Fish People label (with a 5th December US release through Concord Records). 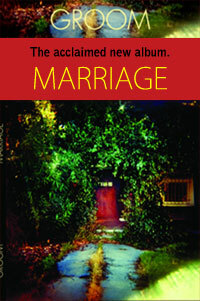 This 4 disc vinyl LP OR 3 disc CD set is available order on the usual digital platforms also such as iTunes, Amazon etc. The album (now certified gold) entered the UK album chart at number 5! 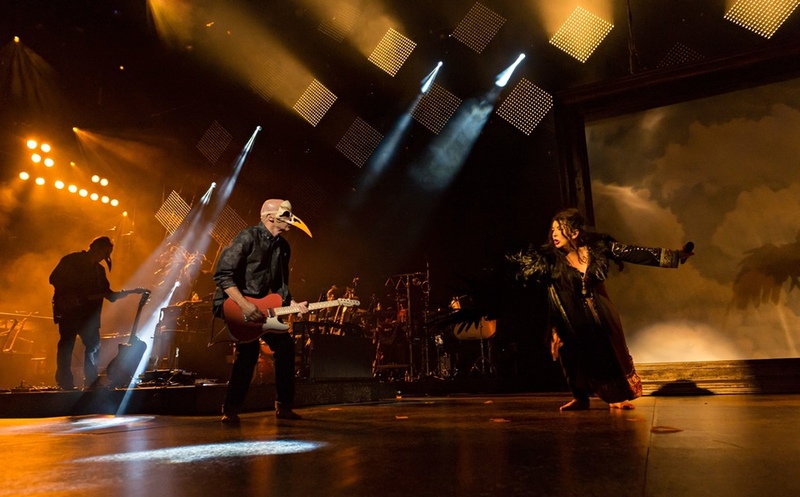 During the show’s run, the concerts received hugely positive reviews (see below). All of Kate’s 11 albums re-entered the UK charts in late August, with Kate becoming the only female artist in history to have 8 albums in the UK Top 40 in the same week, rivalling similar records by The Beatles and Elvis Presley. The concerts were filmed over two nights in September, for a possible DVD/Blu-ray release, but Kate has never said anything publicly about such a release. Kate wrote detailed production notes in the accompanying tour programme, describing the enormous efforts of the large team of talent that brought the shows together. 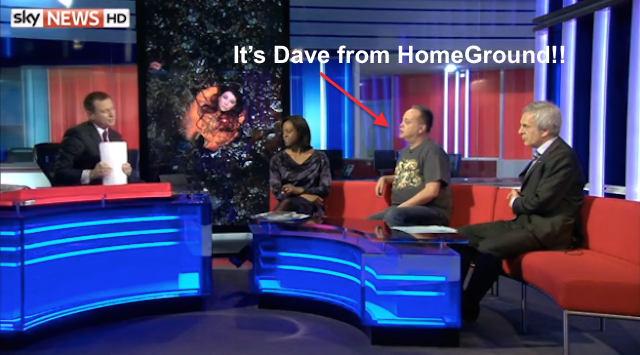 Dave Cross of HomeGround appeared on Sky News on March 28th to discuss the excitement (and mayhem!) just before Kate’s tickets went on general sale. Some fans arrived at the venue on the morning of March 28th, but no tickets were on sale there…. Kate reflects on “one of the most extraordinary experiences” of her life. Last night I had the most amazing time finally seeing Kate sing live at Hammersmith. I was blown away ! her live vocals were completely spectacular, not a wobble or missed note! I also felt really privileged to see Bertie perform – what an amazing young talent !! 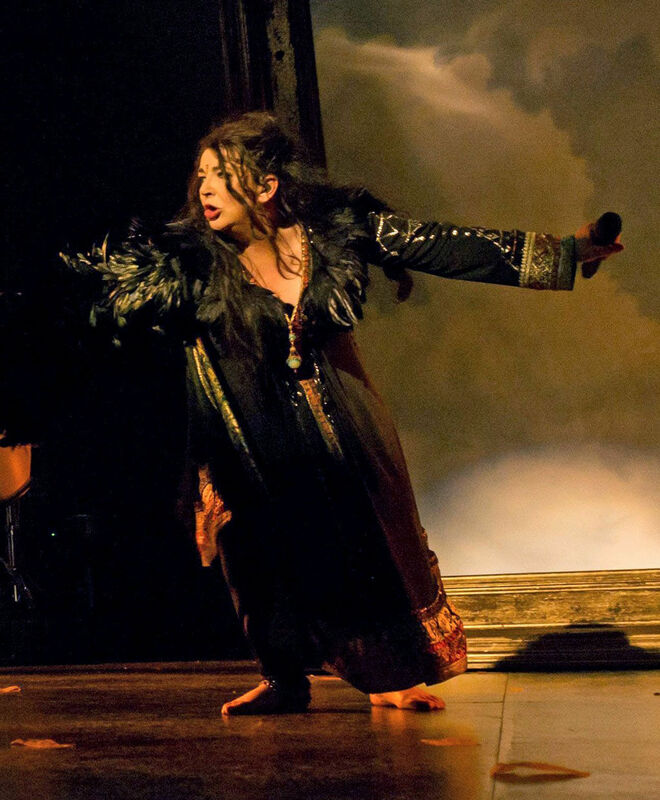 The whole staging and theatre built around her concepts were beautifully crafted and sheer genius. I had been looking forward to this moment for so long ! I have been a lifelong fan of Kate’s since I was a teenager (I’m now a 46 year old mum of two little boys) I have followed everything she’s done and loved it all ! It’s a cliche I know but I just feel like I know her after all this time she is the connection with my childhood/motherhood – all my experiences really are bound up with kate and her music at different stages. I think that sums it up – Kate does that to people. 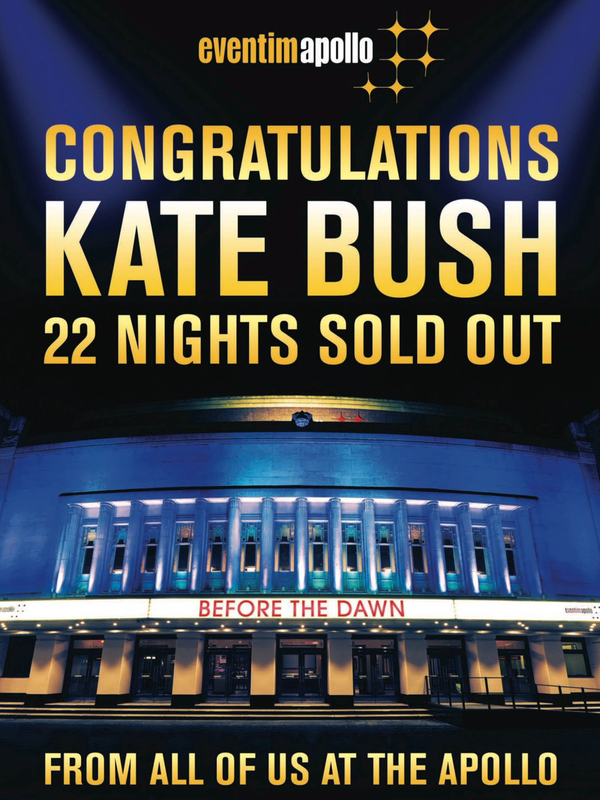 Thank you Kate – what an amazing gift to your fans! I traveled from Canada with my wife and two daughters to see the show. We never dreamed that would actually get to see Kate play live. But we did and It was dream come true for all of us, as the show brought us all to tears. Thanks Bertie for giving your mum that nudge. We went to the show on 10th September, it surpassed all expectations. The stage theatrics were incredible, but it’s the music and the storytelling that really shine through. The first major goosebumps for me were during Top of the City which had such power. 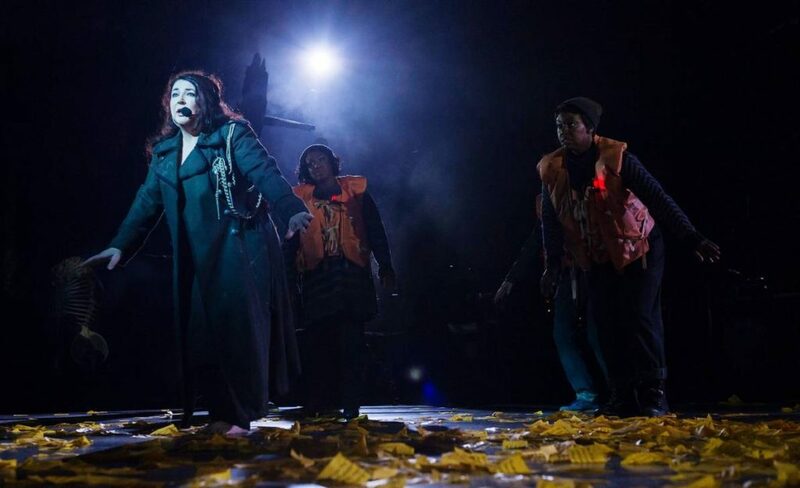 We all know about the Ninth Wave – the whole segment was so moving and brilliant, but that ‘Let me live! !’ bit really got me in the heart! You really felt for this poor Mother out there and alone. Come the interval we were virtually speechless. Musically the second half was perfectly executed and had added, slighlty eerie dimensions – must have watched the Birds too much! The crowd were brilliant, listening intently during the songs but applauding like no other audience I’ve heard in between. 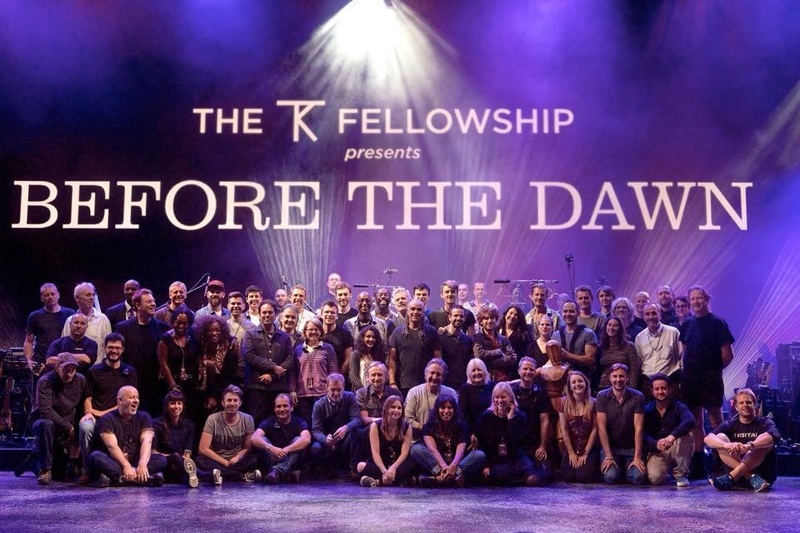 Well done to the KT Fellowship and everyone involved – we are so lucky you have made this happen. I’ve been a fan since I was 16 and wasn’t lucky enough to see her 1979. How glad I am that I’d registered on the official web site years ago & received a code for the pre fan sale. God was looking down on me that day as I managed to get tickets for myself & my wife for the gig on September 12th. 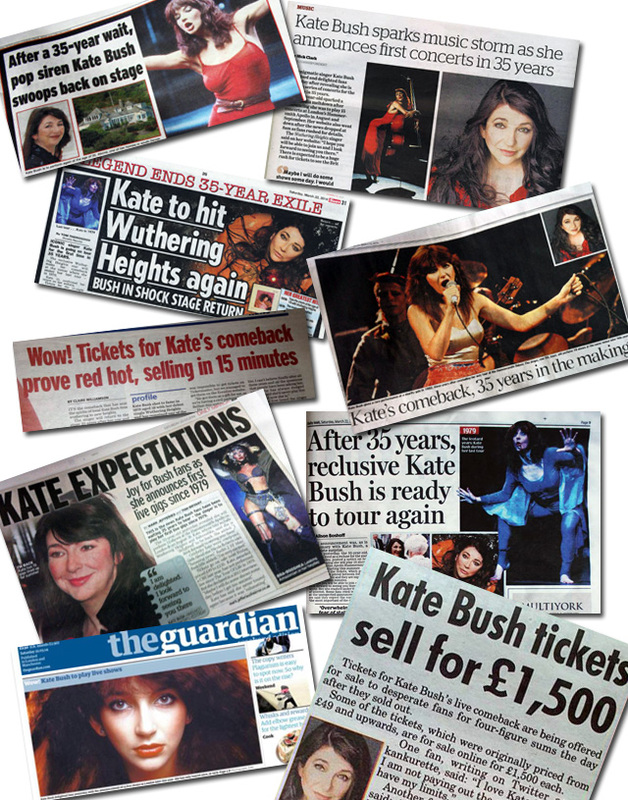 I’d heard that some people had asked for their money back because she Kate hadn’t sang Wuthering Heights or Babooshka – well they aren’t true fans in my opinion. She could have sang the phonebook for me & I’d have been happy. The concert was outstanding & stayed with me for days after. 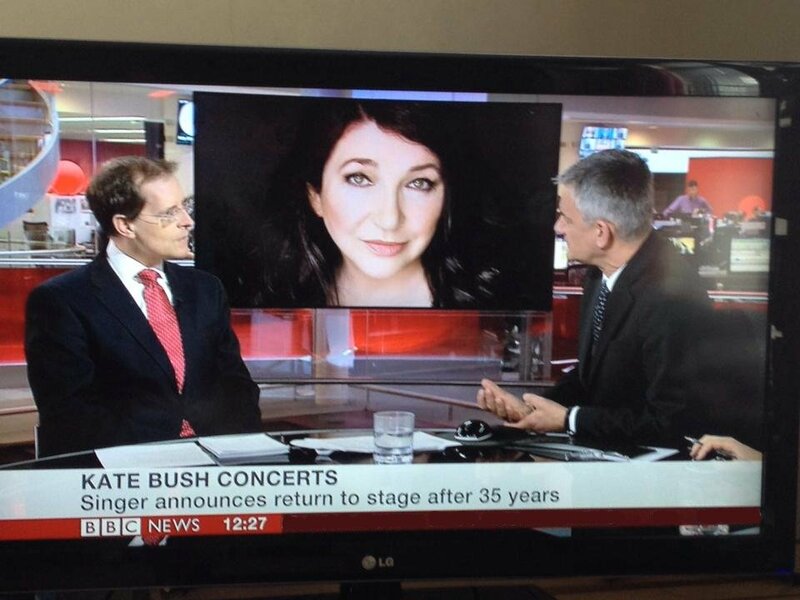 The 35 year wait was worth it – her voice moved me to tears (and many others around me too). 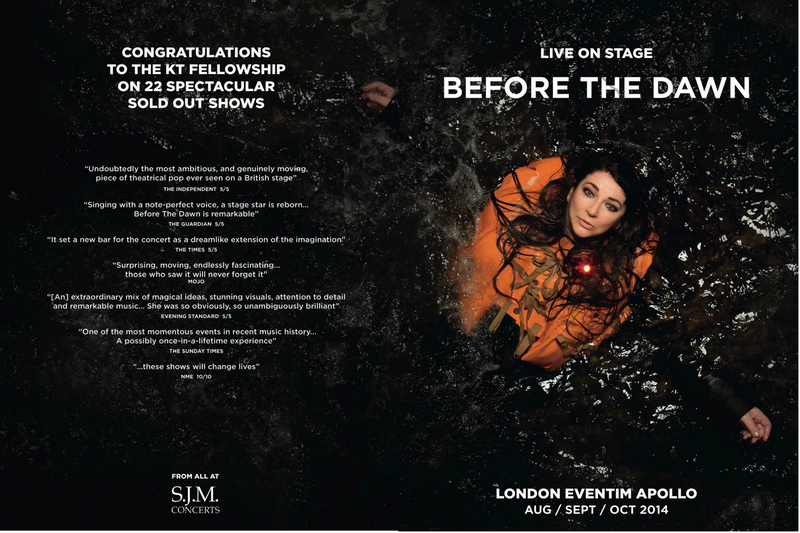 Kate & & all the production team put on a spectacular show – a real gift to her fans who have waited to see her – the UK’s greatest singer/songwriter! Special thanks to Bertie for giving his Mum the conviction she could pull these shows off! I feel extremely honoured to have seen Kate live – her voice touched my soul & made my spirit soar! I’m truly sorry you missed out on seeing Kate. Know this: Kate is in your heart. Listen and she will sing just to you. I’ve been to hundreds of gigs in my life. I managed to get hold of a ticket for Kate’s 1st night at 5.30pm that day! I arrived late, 3 songs in and Kate definitely looked at me as I walked in late down the central isle – 8 seats from the stage – 8 seats!! I would have been deliriously happy with just a standard show of songs but the overall performance was mindblowing! My highlight though was seeing Kate on the piana just her and a piano. I often imagined what seeing Kate live would be like. After the Directors cut I did have a sneaky feeling she might do some concerts as that record almost sounded like she re-recorded it for the stage but I imagined that she would do a low key show with her and her piano! You can never predict what Kate does next! Will there be a live album of the 2014 concert? Say “Yes” please! We would hope so, though no official word as of yet. Hi! Will a DVD be released from the concerts, as far as any of you have heard? I couldn’t make it to any of the concerts, so this would be the next best thing. Was just sitting here trying to describe Before the Dawn to my mum and why it was so spiritual for me when i decided to read through all the comments again. Wow they actually allowed me to revisit some of the emotion and bought a tear. One can live in hope, but I’m not sure I will ever experience the like of that evening again. 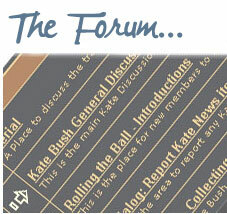 I relive my life in decades through Kate, Twinklyjules back in Sept expressed it so well. I often see feel people as energies, to me Kates is just the most connected, serene, beautiful yet powerful feminine energy and I will never forget the feeling of gratitude and pure joy at being there that night to experience the amazing connection that she had with the whole team and the audience. What a great summary of how the show made you feel 🙂 Thanks for sharing. Any news of a DVD yet? Please. Is there to be a DVD / anything, of the 2014 concerts? I was lucky enough to be at the September 13th concert; I went there full of sadness – one of my beloved Siamese cats had just had a second cerebral attack, and I didn’t know if I was going to go home to say farewell to him. The moment Kate and her chorus walked on stage I felt peace… excited, delirious, but peaceful at the same time. For the whole set I was enraptured – our friend Kate was with us, and pulling our heartstrings, burning our passion to a searing peak, soothing us with love, and enticing us to follow her into magical dreams. 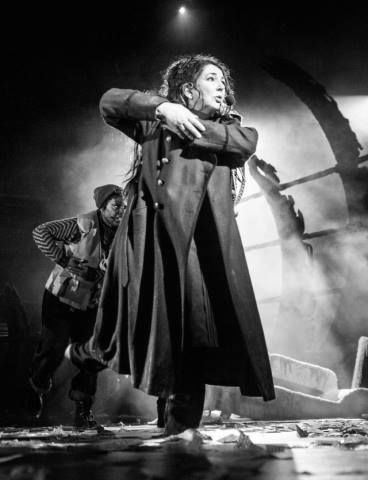 I loved the Kate of Lionheart, cried to “Oh England” so many times, but the Kate on stage in front of us was other-wordly. She had us mesmerised, tantalised, always wanting more, and from the comments here, never quite satisfied – we will ALWAYS want more. I went home to find my lovely boy still with me, and he is still here today (June ’15). Every time I look at him I remember that night, and know that Kate gave me a priceless gift – peace. Kate – I thank you for inviting me (and my thousands of co-adorers) into your world, and letting us glimpse a moment of your genius. Please don’t forget us – we will always be there, eagerly awaiting another peek through the lace and the chintz. I’m from Italy, Turin and i came to London just on the first date of our goddess Kate’s shows, i came there from Galway, Eire where i had been on holiday for two weeks. I got the ticket because, as a fan of Kate on her official website newsletter, i was entitled to enter the fans pre sale. Now i’m 63, i’ve been an adorer of Kate, both as a person and as an artist since 1978 when i was 26. Running up that Hill, Cloudbusting and Sunset are three songs i really hope to hear in Heaven for eternity and yet she sang the three of them all just for me, that’s what i felt on that holy night. 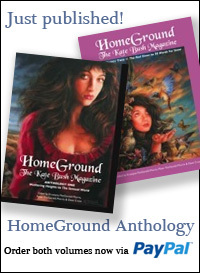 I will never forget the audience standing and singing Cloudbusting with our goddess Kate at the end of the show. Please let me end this comment thanking Kate just to exist and for enlightning my mind, my soul, my whole life. My life can end tomorrow but it was worth living as i was in Eventim Apollo on 26/8/2014 to worship our goddess Kate. Thank you for reading. I had a ticket for the last night, but was really ill and too sick to travel to London. I was just devastated! Like others who have asked if there’s going to be a DVD of the show, I too would really love to know. I’d just like to ask people who did manage to get there, did anyone see a crane arm camera moving over the stage, especially on the dates when seats were ‘rearranged ‘ to make way for filming. Every concert- event that’s being filmed has one. It’s the only way to get close up shots! If not, then it I can’t see how else the show was filmed for a professional release. If someone did see a moving crane camera, I’d love to know. And I know Kate will not release anything that’s not quality. I really do wish Kate would make some announcement, especially for her devoted fans like me and others who had a ticket, but couldn’t get there. We live in hope. Love to you Kate , and all the KT family. 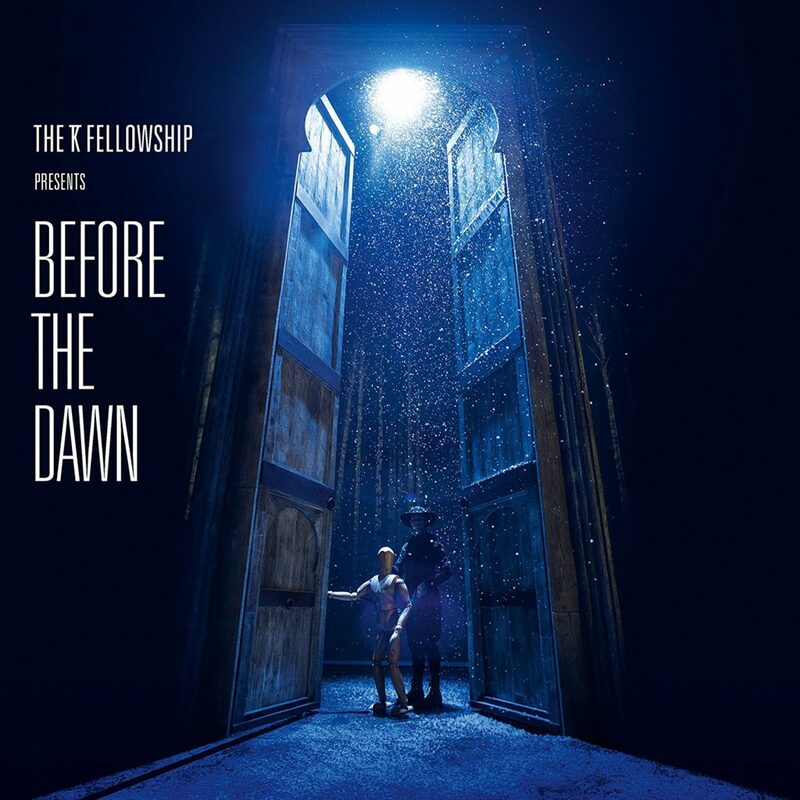 30 years since ‘Hounds of Love’, 10 years since ‘Aerial’ and 1 year since I saw the KT Fellowship in ‘Before the Dawn’. Please Kate, what a perfect time for news on a Live album and DVD ??? After controlling the excitement, I ask Kate who was siting next to me at a recording of Vicious Series 2 around Feb 2015, about the DVD. She said it was taking longer than expect 🙂 I’m still smiling and warm from hearing that voice. So, I guess we must wait some more for the goodies 🙂 We know its going to be worth it, aye. corrected spelling.. i was excited, see..
After controlling the excitement, I asked Kate who was sitting next to me, about the DVD, at a recording of Vicious Series 2, Episode 6, around Feb 2015. She said it was taking longer than expected. I’m still smiling and warm from hearing that gorgeous voice. So, I guess we must wait some more for the goodies 🙂 We know its going to be worth it, aye. Congratulations to John Carder Bush for his award in best book production. I have two copies, both in the ‘Bespoke Signature Edition’ and I just want to say to everyone that these books are beautiful to look at and feel. When I collected mine from Waterstones, the staff commented on it too. Almost like going back in time. I was there – any more need saying ? It has taken me a long time to write this message because of how sad I felt not being able to source a ticket for any of the Before the Dawn concerts. I was a symphony in blue and I have still not fully recovered. I even worked in the music industry then and the makers of Ampeg tried and could not. I was hoping Del was using Ampeg amps. On the day the tickets were released I had my friends and my then g/f’s friends ring up as soon as they opened the lines and within 10 minutes or maybe less they were all sold out. As an older person and huge fan of live music, even now, I can not tell you how upset this made me as I knew it might be my last chance to see Kate. I have seen thousands of musicians live but not Kate. As a teenager I had a Kate Bush poster on my door and my bass player brilliantly drew the KT from Army Dreamers on the arm of my leather jacket which I wore from 14 until I could no longer fit into it. 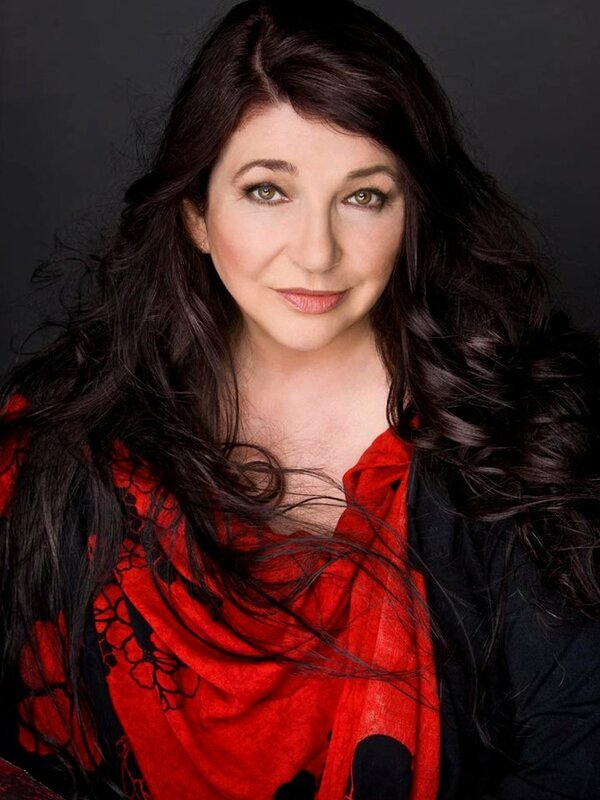 The bizarre thing is because of the music I enjoyed, punk and metal, I thought no one would know what it meant but I went to many, many punk and metal gigs and played many punk and metal gigs and everywhere I went there would be at least one person who would point and say Kate Bush. I can safely say Kate you have the most diverse fan base ever. I even went to a black metal gig and someone knew what it meant. I just wish there could have been a way for real fans to have been singled out and given the option to purchase a much deserved ticket for years of loyalty. Drummers are not always held in high regard so the fact that you think they are the beating heart warms mine. I have to say your roll call for drummers is tremendous Stuart Eliiott, Charlie Morgan, Preston, Omar Hakim, Peter Erskine and Steve Gadd to name a few. What a phenomenal line up. I think you need to be a drummer to understand fully. I was too young in 1979 but I did have the video of the Hammersmith gig from The Tour of Life. I played that video until the tape started to wear, because I loved it but also to try and understand what Preston Heyman was playing. 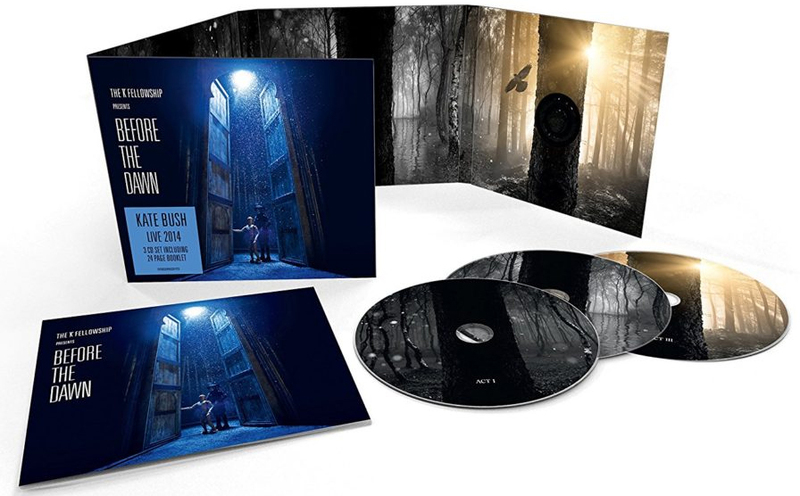 I am hoping you will release one for Before the Dawn because part of the beauty behind a video or DVD, as well as feeling like you are there, is that it teaches us things that a mere CD can not. For example there is a slowed down moment in The Song Remains the Same when I realised John Bonham starts his triplets with his left hand. Little gems like that can give us great insight into music and musicians. Also the reviews I read, because I am a masochist, said the concert more than a mere gig but a work of art. For these reasons I think it is important that one day it is seen so all those who were not fortunate enough to source a ticket can appreciate the show too. 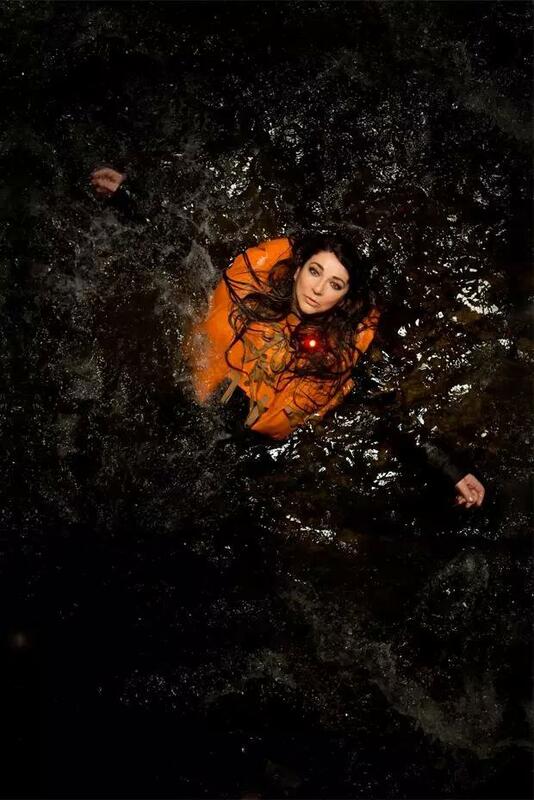 To console myself with not being at any of the shows my then g/f and I went to see a Kate Bush tribute act and I have to say although not Kate they were excellent. They were called Cloudbusting and even got chatting to the drummer Kevin Cook afterwards and they were also all huge KT fans. I even took piano lessons briefly out of deference but I was terrible so switched to drums. Thank you for many years of beautiful music and being one of my earliest musical memories singing Wuthering Heights in that white dress. I also later read the novel and visited Haworth Parsonage so you have educated me in many ways. 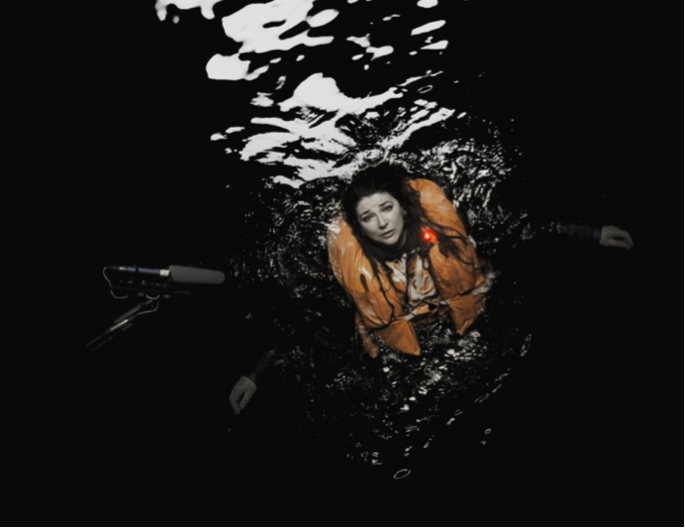 Kate Bush, more than a musician, a true artist. If only she knew how much a DVD would me to us that tried so hard but failed to get tickets. I’m 58 and been a life long fan. I waned to post this because I feel really frustrated about the lack of a DVD issue of Before The Dawn. I was one of the lucky ones who managed to get a ticket – because I was on the mailing list from Katebush.com unlike reply above from “A Misfit” (a pseudonym perhaps?). None of my friends managed to get tickets on the official release date. I also tried without any success at all to get another date even though I took the morning off to be at my home PC! I travelled from Ireland on my own for the gig – leaving my wife & son to manage without me (apparently without any problems!!). I was there on one of the two nights it was recorded. I was next to a guy who had travelled from Finland as indeed many were from overseas just for the show. Like Ross (above) I am also in my fifties, although my older brother went to 3 gigs in 1979 for the Tour of Life – I was a little young to tag along with him, so like many I have waited 35 years to see her perform live. My only knowledge and appreciation of the 1979 shows was my beloved copy of the Hammersmith Video which has now long worn out, together with my VHS player – but it was so amazing to watch as well as to listen – personally just LISTENING to a live CD does not transport me [back] to a live show! This oddly enough has never been released officially on DVD, although 2nd hand copies of the unofficial (now blocked – but widely available when first released in 2012) Dutch Immortal Label DVD do crop up which was neither in HD nor re-mixed. I am not sure how many people saw the comment from Kate in November 2016 just before the Audio release of Before The Dawn. Needless to say I was so disappointed when I read the excerpt! The Fans responded to Kates “request” not to record any of the show on their ‘phones so there really is nothing “out there” to remind, or more importantly to make the many who wanted to be there but couldn’t, be aware of what actually went on. It was a magical, visually stunning show which is what Kate wanted, she should be proud to put it out in its entirety on DVD. Quite rightly, Kate should be protective of her work, even in this Mobile Phone, Streaming, Instagram and whatever Social Media age. The fans respected her wishes not to record anything during the concert – please Kate could you respect our wishes and make an official release of the Before The Dawn live experience available on DVD for those who did go, those who tried to get a ticket but could not, those that do not live in London, or the UK or Europe or those that could not justify the £150-00 price. Please let everyone appreciate it. It WAS beautiful! I had also dared to hope that the full 24 tracks of the Tour of Life footage would be released as a remixed & remastered DVD after 25, then 30 then 35 years, rather than relying on shabby unofficial transfer releases of the original 12 track VHS. I don’t think I can wait for the 50th Anniversary, but maybe the 40th (! ).